I always enjoy visiting small festival in local venues in Siouxland, like the Grand Meadow Heritage Festival near Washta. The people who run the festival revel in bringing history to life and sharing the past with current and future generations in the area. 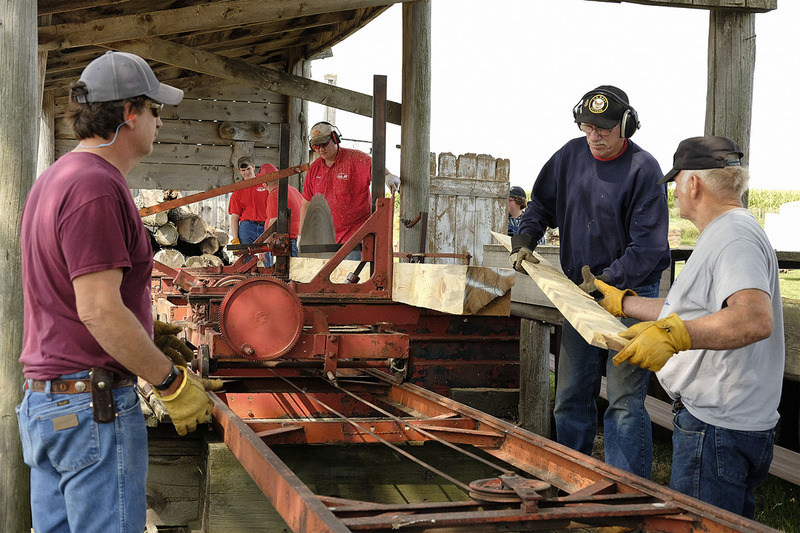 Today, some teenagers and youngsters probably have no idea how hard work could be one, to two, centuries ago. Reading about it is not exactly experiencing it. 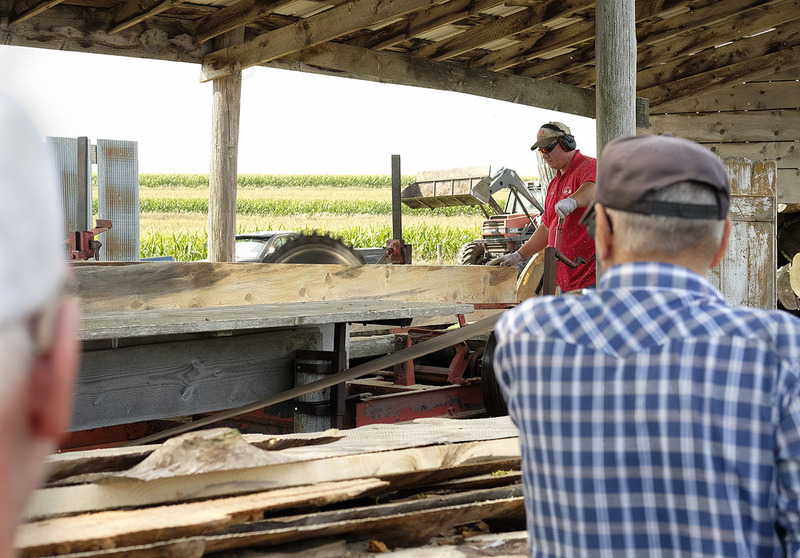 Having grown up on a farm in the 1960’s and ’70’s with some automation, one could acquire a few blisters while doing chores and other farm activities. 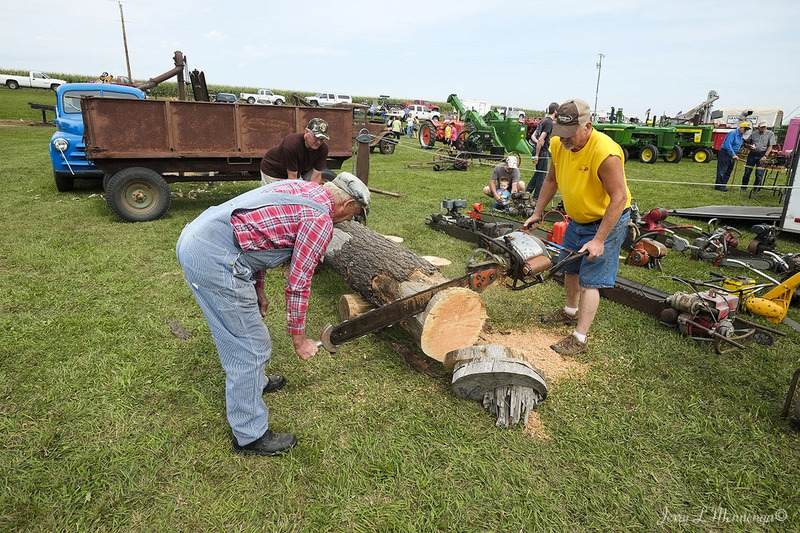 At the festival a crew runs a milling operation, cutting lumber from tree trunks and making boards. 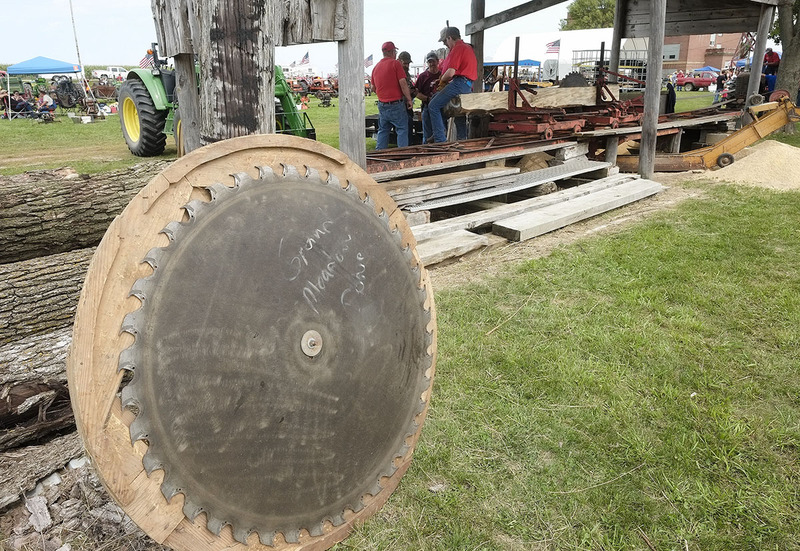 The saw being powered in the past by a steam operated tractor. 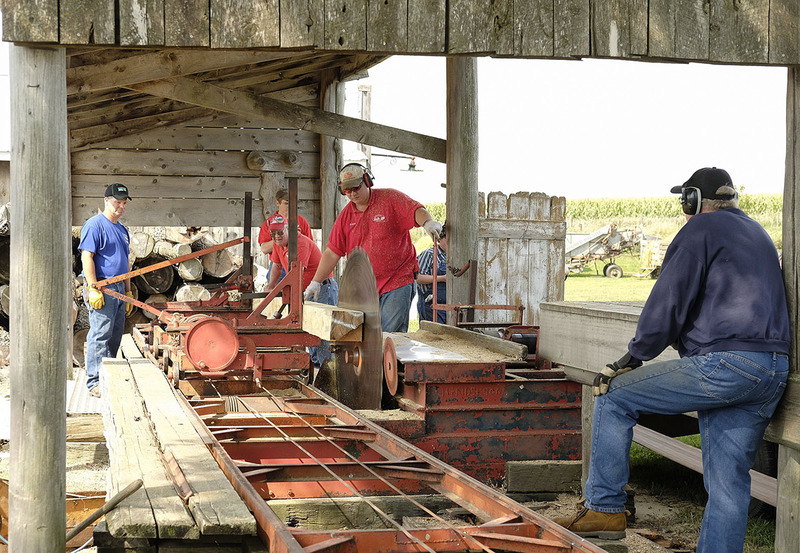 This past year it was operated with a newer tractor and again was belt driven. Most pieces of wood handled a few times before finding a resting spot with others, and then one more time transported somewhere else for use. And what I find as interesting and grateful for is that people still know how to operate this “ancient” machinery, a few years past the industrial revolution and the settling of a continent with growing populations and an expanding frontier.